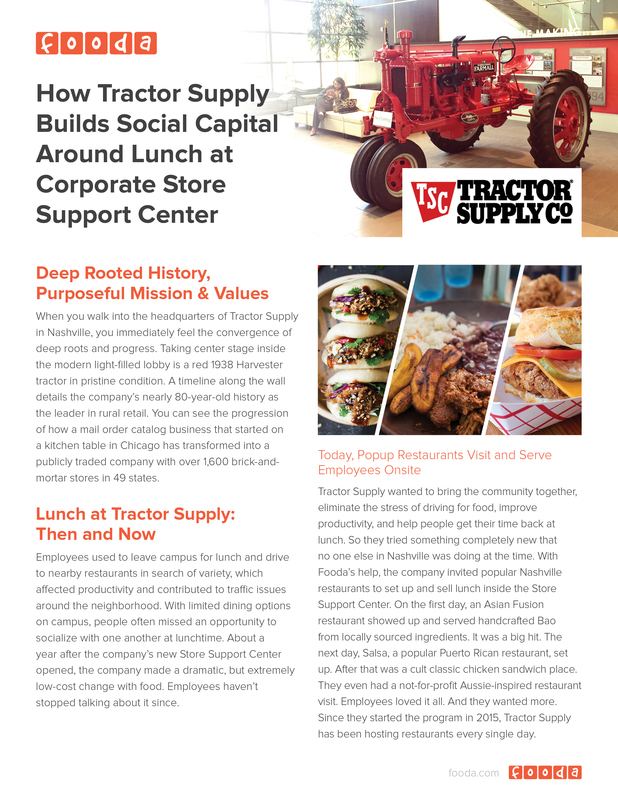 When you walk into the headquarters of Tractor Supply in Nashville, you immediately feel the convergence of deep roots and progress. Taking center stage inside the modern light-filled lobby is a red 1938 Harvester tractor in pristine condition. A timeline along the wall details the company’s nearly 80-year-old history as the leader in rural retail. You can see the progression of how a mail order catalog business that started on a kitchen table in Chicago has transformed into a publicly traded company with over 1,600 brick-and-mortar stores in 49 states..